There are only 350 Sumatran Tigers left in the wild. This situation may seem hopeless … but it’s not. Tiger Trek, a new exhibit at Taronga Zoo, is designed as a powerful immersive and disruptive experience that creates internal conflict in zoo guests; sparking deep emotional connections to Tigers, then challenging and inspiring people to take positive action to help save these magnificent animals. The exhibit uses a combination of authentic cultural theming and landscaping, interactive elements and AV, props and staging, rich storytelling and soundscapes to create an immersive physical and emotional journey. 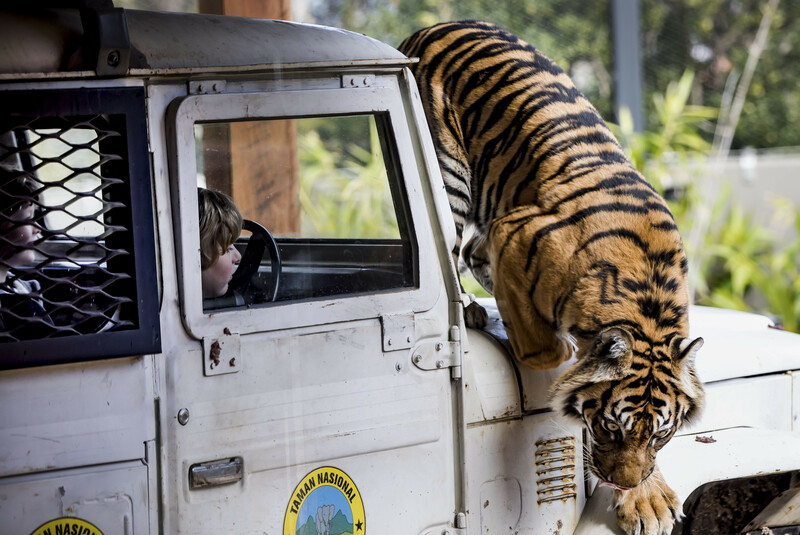 In a simulated flight onboard Tiger Trek Airlines, guests are transported from Taronga Zoo to Indonesia. There, guests engage with Sumatran Tigers through close encounters, learn about Tigers’ behaviour in their natural habitat and find out about local conservation projects such as the Wildlife Protection Unit. 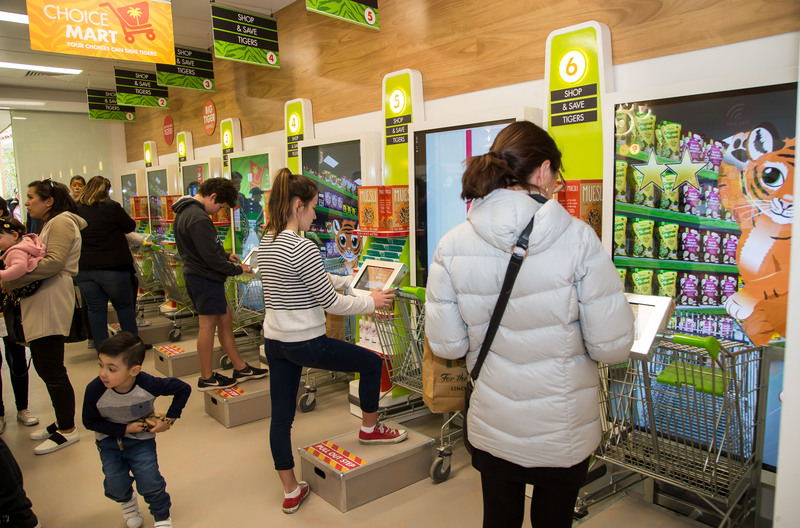 In transition back to the urban world, guests enter ‘Choice Mart’ — a simulated supermarket where they are empowered to make consumer choices to help protect the remaining Tiger population in Sumatra. They can also encourage manufacturers and retailers make more sustainable choices in food production through the Raise Your Palm community campaign. This campaign, developed as an integral part of the Tiger Trek exhibit, leverages community action to support the transition towards a truly responsible (sustainable) palm oil industry in Australia. Together we can save Sumatran Tigers — and create a shared future for wildlife and people.